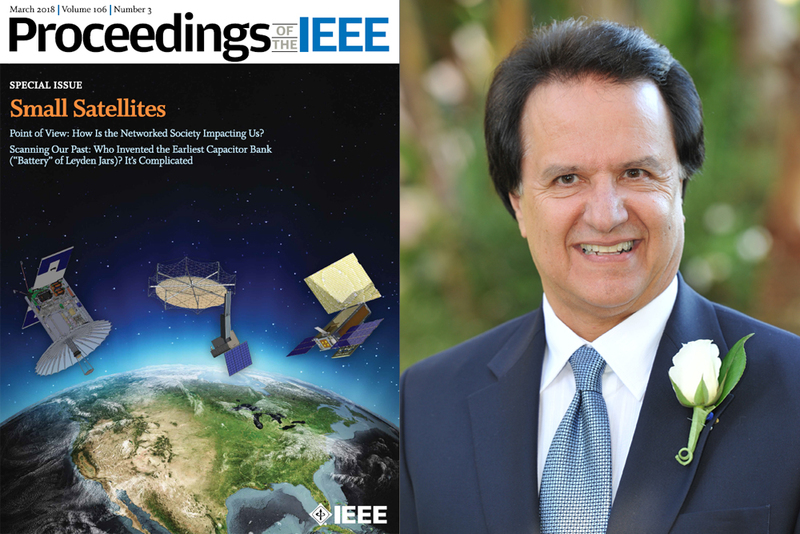 Distinguished Professor Yahya Rahmat-Samii’s co-authored papers entitled, “Advanced Antennas for Small Satellites”, pp. 391-403 (co-authored with Prof. Gao, Dr. Hodges and Prof. X. Yang) and “Radar Technologies for Earth Remote Sensing from CubeSat Platforms,” pp. 404-418 (co-authored with Dr. E. Pearl, et.al.) appeared in the special issue of the Proceedings of the IEEE, Vol. 106, March 2018. The cover page of this issue of the Proceedings of the IEEE is based on the topics of these two papers. The Proceedings of the IEEE is the most recognized and prestigious publication of the IEEE and has a huge international readership with a very high impact factor.